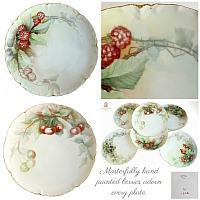 Spectacular Antique Hand Painted Limoges Porcelain Dessert Plate Set, each beautiful plate has a different berry design. Expertly painted by the masterful artist and signed with his or her initial on the back "N" 1906. 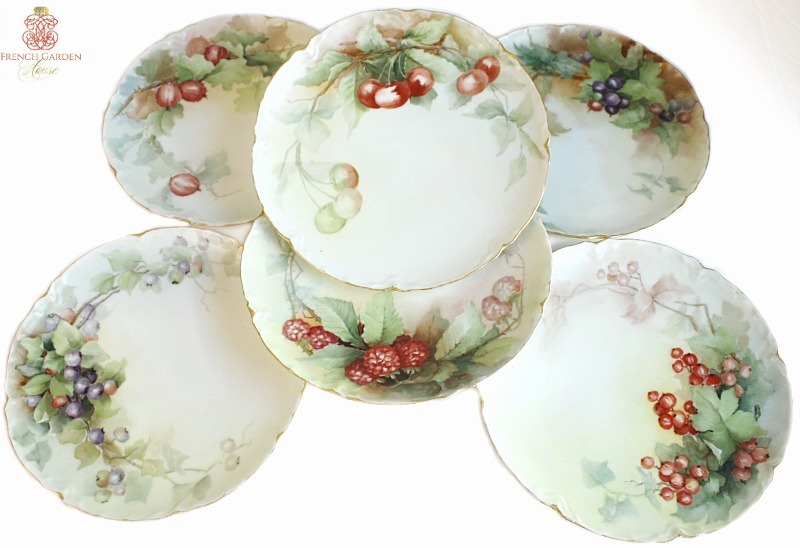 Marked Haviland, Limoges. Amazing colorful Raspberries, Cherries, Red Currants, Blueberries, Gooseberries and a berry that may be a Elderberry. 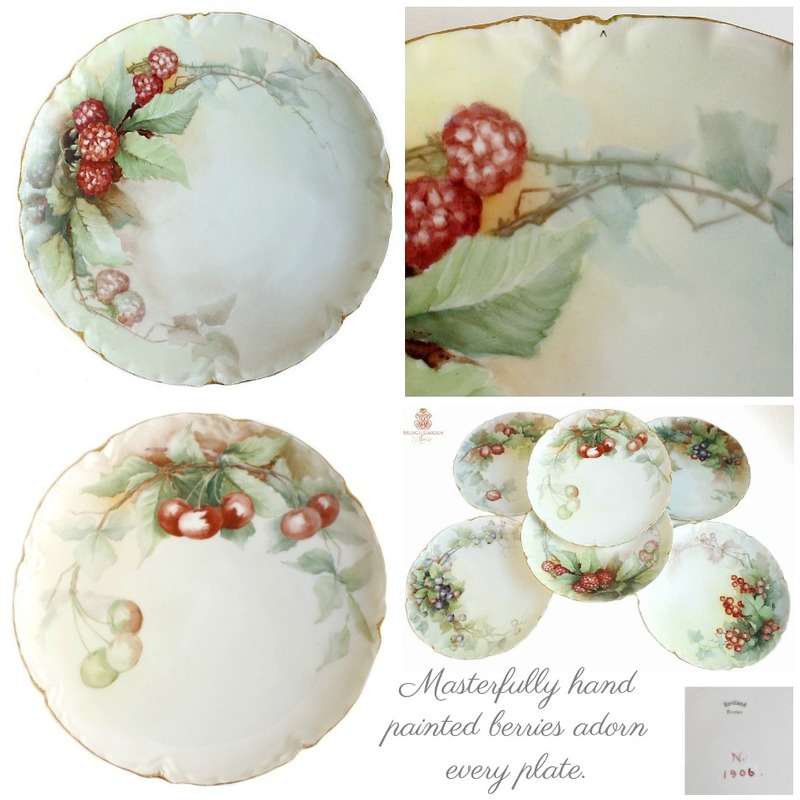 Each one is decorative and a stunning addition to your collection of antique Limoges. 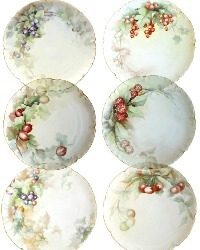 Beautiful multi- shaded backgrounds on the plates vary from soft green, aqua, gold, yellow, blue, pink and apricot. Beautiful detailing, this is an exceptional set. Rare to find a set of 6 these days. 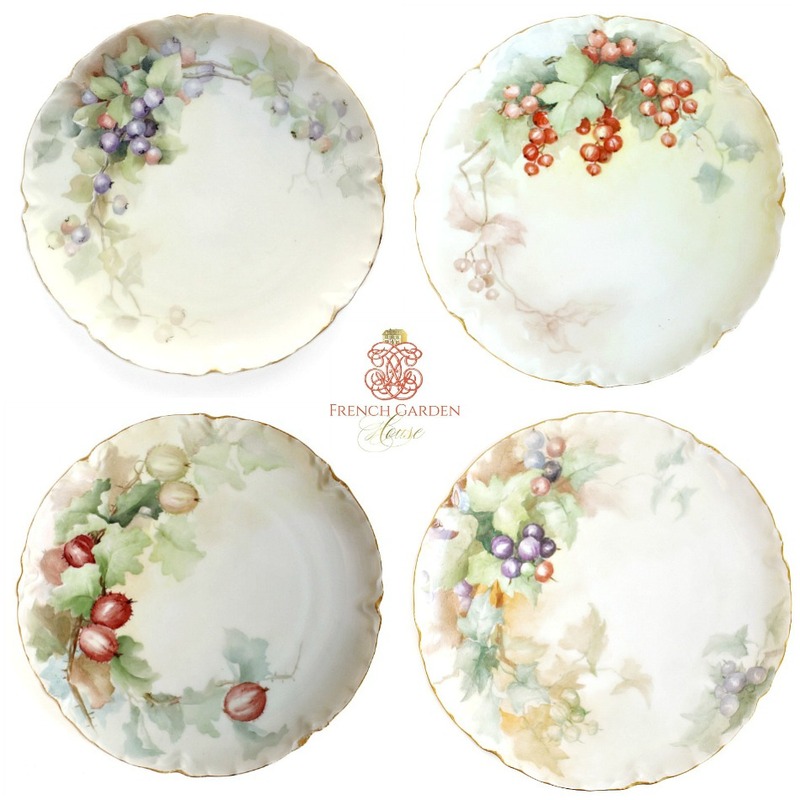 Lovely to display, or to use for a special dinner or luncheon. In good condition, the gilt edging has a little wear, and one plate has a small flake on the rim, as shown in the close-up, which is forgivable for a set of over 100 years old. Sold in a set of six.